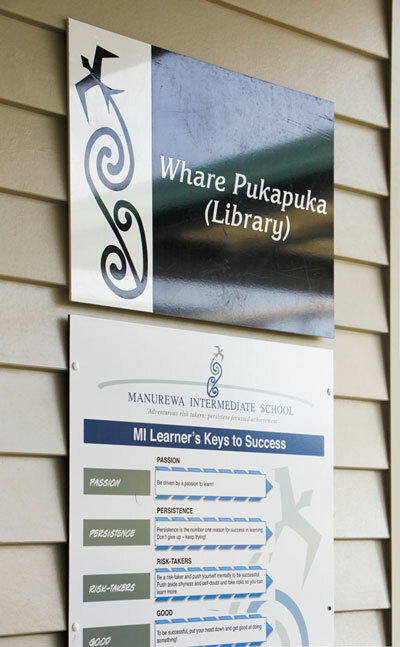 Manurewa Intermediate is a beautiful school with a fantastic multipurpose library / learning space located in the heart of the campus. 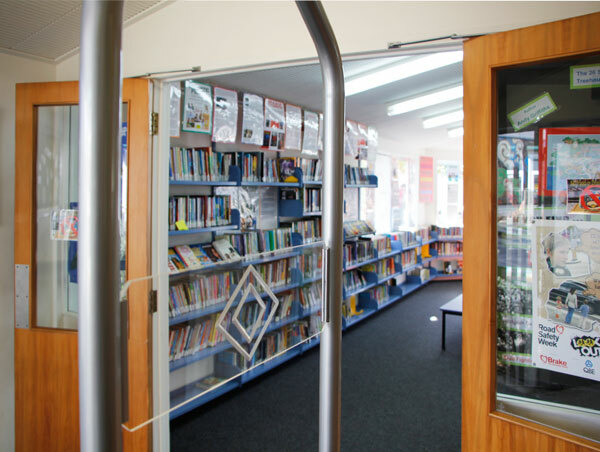 The library had been without a library book security system for several years and the cost and time required to replace many treasured library items each year mounted up. 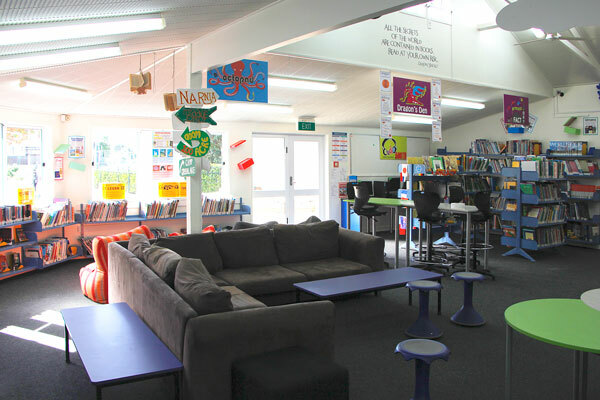 Library Plus was asked to provide a new system that best fit their objectives of reducing expensive stock loss and meet their budget. 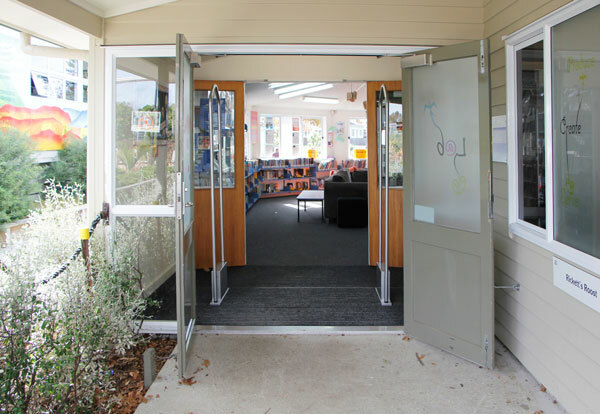 We promptly delivered and installed the D-Tech RFIQ™ system consisting of 1x single aisle pair of secureIT m-Series gates, 1x RFIQ™ StaffPad and the D-Tech RFIQ / RFID tags, which is ideal for schools for both functionality and price. 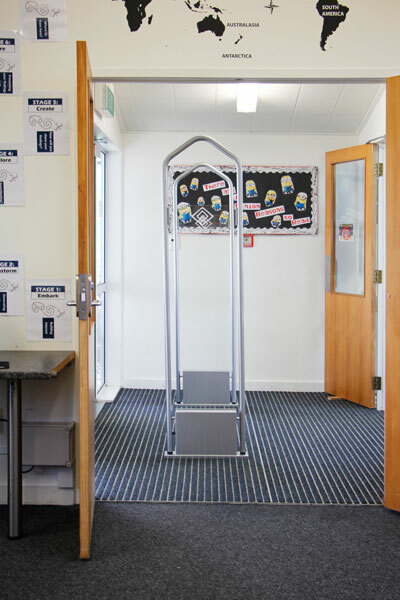 Not only do the security gates pickup items extremely well, but the entire system is very simple to operate, reliable and future-proof, as it can upgrade to full RFID functionality at a later stage should they decide to. 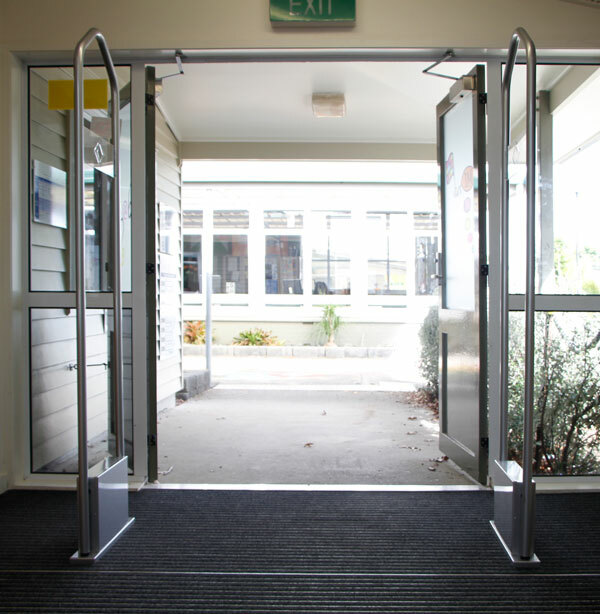 Another key benefit of the D-Tech m-Series security gates is their unique ability to span a double door width providing unhindered traffic flow through the main doors. Our professional install team did a careful job of hiding all the cabling under floor with minimal disruption and mounting the RFIQ™ StaffPad under the issues desk so it was all out of sight. The RFIQ™ software on the issues counter works in complete harmony alongside Musac and ongoing support is provided by the Library Plus team or D-Tech International remotely over the internet or onsite if required.